Imagine this: you spend hours putting your blog posts together, sharing your posts on social media day after day, or maybe you spend on Facebook ads and Google ads. 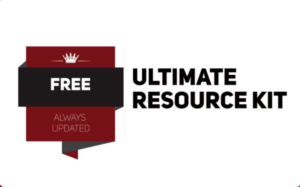 Regardless of what you do to get potential customers to your website, you are already trudging along uphill with the monster reality of shopping cart abandonment. Your potential customers just happen to arrive, add items to their shopping cart, and leave without buying. According to Jacinda Santora of OptinMonster who helpfully compiled a few shopping cart statistics and shopping cart abandonment tips, more than $4.6 trillion is lost in shopping cart abandonment alone. That hurt. It truly does. 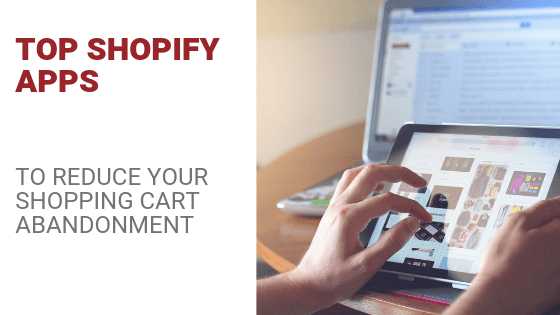 If you are using Shopify, you should be able to use the basic features that Shopify provides to help you manage shopping cart abandonment. Shopify automatically tracks all the instances of shopping carts being abandonment (you can view them from within your Shopify Dashboard). The simplest thing you could do is to design an automatic and simple shopping cart abandonment email that’s sent out to your potential customer after an hour or so after your potential customer abandons his or her shopping cart. Exit Intent pop-ups are powerful ways to reduce the exit flow of potential customers leaving your store without actually completing their transactions. The OptinMonster Shopify App allows you to create stunning, timely, relevant, and on-page exit intent pop-ups that can make one last-ditch attempt to help convert your potential visitors (who are just about to leave) to either sign up as a lead or to buy. Mary Fernandez writes that your exit intent pop-ups don’t even have to be generic (or storewide pop-ups). Using OptinMonster’s exit intent technology, you can create exit intent pop-ups display potential customers’ names, display messages based on the item your potential shoppers were browsing or the pages they viewed. 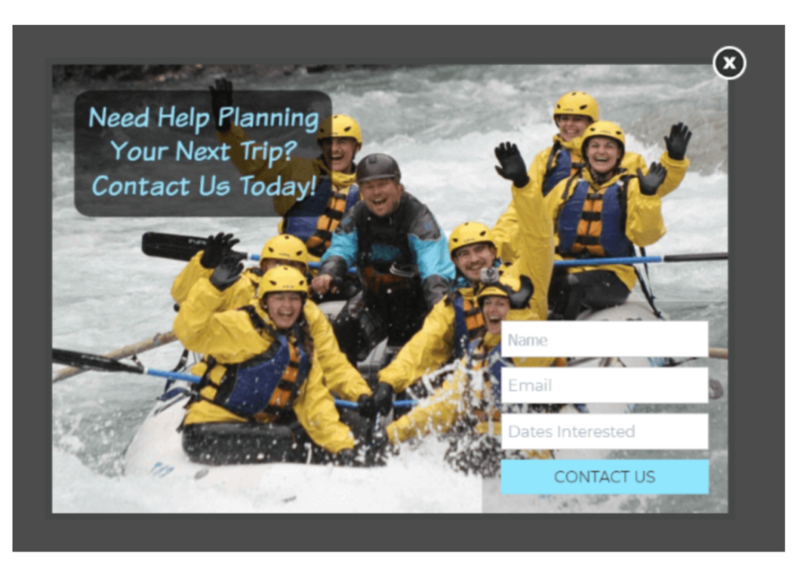 Here’s how Wild Water Adventures used OptinMonster’s Exit Intent Technology and converted 160 leads while increasing their total sales volume by $60,000. Another example? Here’s how SnackNation converted over 32% of its abandoning visitors. Go to the Shopify App Store, look for the OptinMonster Shopify app, download it, and see what a difference that makes to help reduce your shopping cart abandonment rate. Email has consistently provided better returns over the years (say a decade or so) compared to any other digital channel. No kidding. Adroll has an email retargeting feature (find it by logging into your Adroll account and click on “Try email”) which enables you to make use of Adroll’s own inventory of more than 1.2 billion data points of online shoppers across devices. Adroll can help orchestrate and optimize your campaigns across display, email, social, and native platforms. With the email retargeting feature within Adroll, all you have to do is to set up a campaign from within your Adroll account targeting visitors who’ve reached a particular page or target shopping cart abandoners directly. Note: Before you use Adroll (by itself), be sure to follow best practices for retargeting anyway. For using emails, integrate your email provider such as Drip or MailChimp with Adroll for making it all work. Facebook Messenger is huge. More than 68% of adults in the U.S alone use Facebook Messenger (and we didn’t even talk about the rest of the world). Also, 66% of all Facebook users use Facebook Messenger daily with billions of conversations happening everywhere on the platform. If you have anything to do with business or e-commerce, you should give Facebook messenger a serious thought. The Abandoned Cart Messenger Shopify App by BoosterApps helps you manage abandoned shopping cart recovery by allowing you to send a series of messages to the user who just navigated away from your Shopping cart. 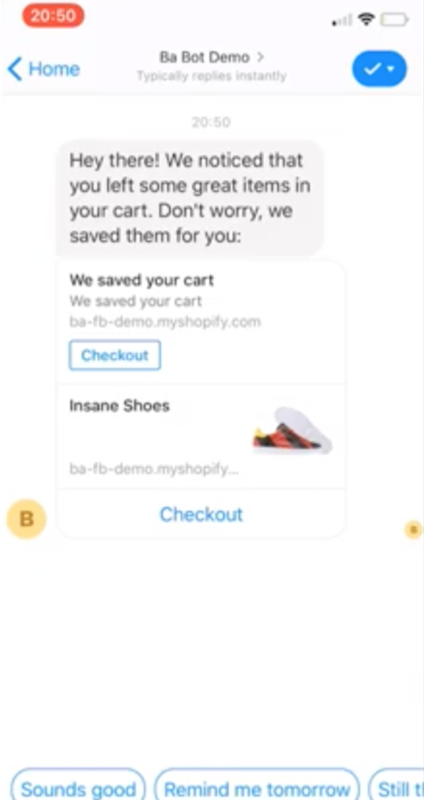 If you ever wanted an easy way to connect your Shopify Store with Facebook Messenger, this is it. Parachute by Cleverific allows you to manage and reduce Shopping cart abandonment rates easily by creating draft orders for all the abandoned orders and then create discounts, promos, and launch dedicated campaigns, and more based off on the draft orders created within Shopify. With Parachute, you can convert your abandoned carts to draft orders directly in Shopify, allowing you to add incentives, accept manual payments and close sales on the spot. Email is terrific, but it’s old school (no way it’s any less effective though). Meanwhile, Facebook Messenger is the hottest kid on the blog. Why not make the best of both the important channels today? You can, with PoaCart Abandoned Cart App by Prospect Response. PoaCart uses abandoned cart emails and Facebook Messenger to recover abandoned carts after shoppers abandon their checkout. When your potential customers navigate away from your Shopify Store, PoaCart sends them well-timed messages (Facebook Messenger & Abandoned Cart Emails) that compel them to complete their purchase. Apparently, the process starts within 30 minutes when cart abandoners are still in the “buying mode” to recover most abandoned shopping carts. What are some of the ways you are trying to reduce your Shopping cart abandonment on Shopify?